Casas Cantabricas offer self-catering properties and delightful small hotels for the perfect holiday in the Picos de Europa. Extending into Asturias and Cantabria, the Picos de Europa are amongst Europe's most rugged and dramatic mountain ranges and being right by the stunning coast these mountains offer a wealth of exciting holiday choices. Visit the pilgrimage centre of Covadonga or walk the Cares Gorge. The little market town of Potes, well-supplied with shops, bars and restaurants, is a centre for mountain excursions or activities, and a bit further on the cable car at Fuente Dé takes you up into the peaks. If you're interested in a touring holiday in the Poicos de Europa or nearby take a look at our Caminos site, the Mar y Montaña tour in particular is centred around the mountains. Stylish, cosy cottage with spectacular mountain views. Charming, very well equipped rustic cottage with shared pool, in cider country. Beautifully restored traditional cottage with stylish interior in hidden, hilltop village. Homely, cosy, south facing cottage in pretty Picos village. Traditional country cottage in the Picos mountains. Comfortable and practical apartment with shared pool in Picos de Europa. Comfortable, adapted ground floor apartment with shared pool in Picos de Europa. Feeling tired? Come back to a Casas house or hotel and soak in the tranquillity of this beautiful area. 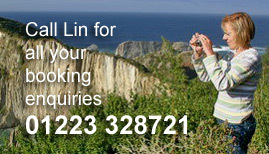 Give us a ring for help and advice from the leading Picos de Europa specialists.